No dental insurance? We have the solution! As a dental office in Orange, CT, we participate or “take” most dental insurance plans. 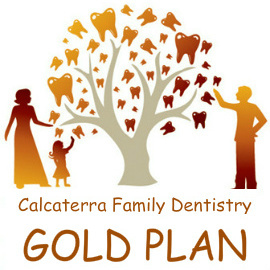 For those patients who do not have dental insurance, we offer an in-office membership plan called the Calcaterra Family Dentistry Gold Plan. Between our participation with multiple plans and our solution for patients without insurance, we can make dental care affordable for everyone. How will you work with my insurance to maximize my benefits? Prior to your visit, our Business Manager Jenn or Patient Care Coordinator Sarah will contact your insurance company to find out how you can use your insurance benefits. We do this routinely so that there are no financial surprises. So you can rest assured that we will never do treatment until you know exactly what your financial commitments are. 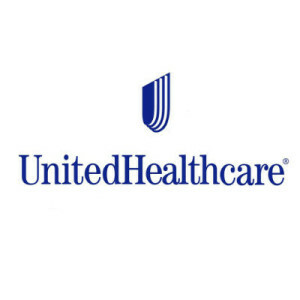 UHC is one of many dental plans we take. Husky (CT State Insurance) for patients 20 and younger. We are especially proficient in wisdom teeth extractions on Husky patients. BeneCare Premium, BeneCare Plus, and Benecare VIP MediCare. This is often called ConnectiCare Dental and is correspondingly called ConnectiCare Premium, ConnectiCare Plus, and ConnectiCare VIP MediCare Dental. We have a special page dedicated to State of CT employees which talks specifically about their dental insurance options. We also have a page dedicated to the Yale University Employee dental insurance plans. We are in network with all the Dental Dental plans offered to Yale employees. Over 50% of our patients do not have the above insurance plans and still get great coverage at our office. And we have many patients who do not have insurance but have signed up with our unique Gold Plan. These patients come from towns such as Milford, Woodbridge, and West Haven. Call us and our wonderful and knowledgeable Business Manager Jenn or Administrator Sarah can explain how you can use your benefits at our office.